We’ve already described the best newsletter extensions and email marketing services for both Magento 2 and 1, and now it’s time to pay closer attention to one of the most reliable follow up email solutions – Follow Up Email Extension for Magento 2 and 1 by Mirasvit. 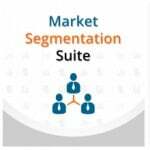 The tool is designed to increase conversion rate, drive more sales, and decrease cart abandonment. 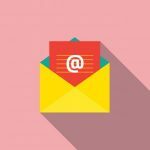 If you do not want to deal with the 68% of the average cart abandonment rate, give the Follow Up Email extension a try, and you will win back your potential buyers. This full-featured email marketing extension will help you keep all your marketing activities in a single user-friendly interface, with lots of intuitive features and options. 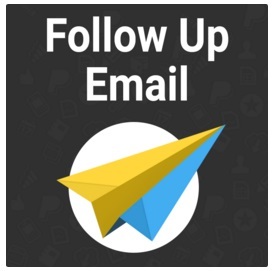 By using Mirasvit Follow Up Email Extension for Magento 2 and 1, you will get a great combination of triggers for sending emails to your customers. In addition to abandoned carts, the module can notify your clients if they have not logged in for a certain amount of days. 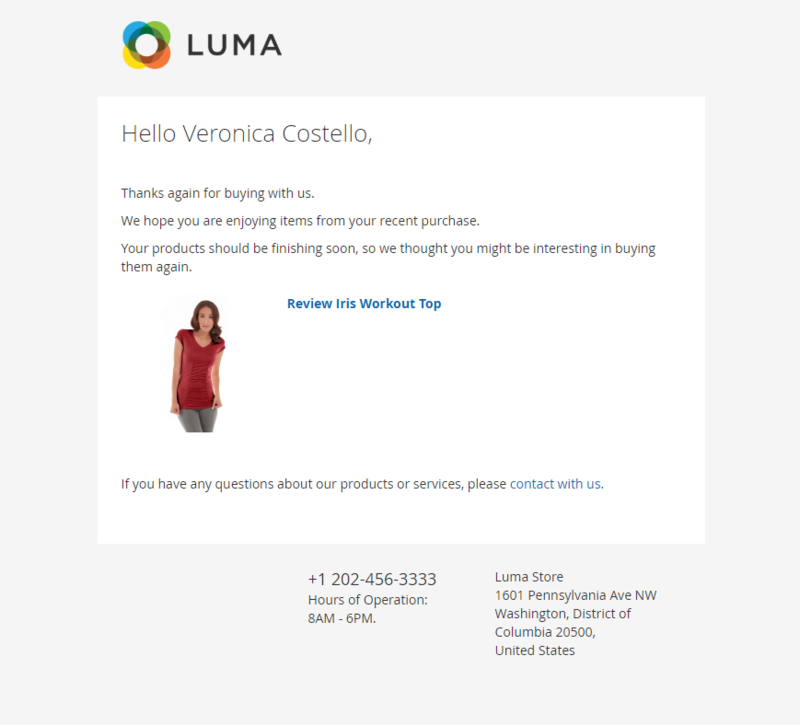 Besides, the extension can send emails asking to leave a review or offering post-purchase cross-sells. Also, note that you are free to create an unlimited number of email chains for each campaign, as well as customize each message (via the WYSIWYG editor) and trigger to make it fit your ecommerce requirements. Another vital aspect available with Mirasvit Follow Up Email Extension for Magento 2 and 1 is the ability to generate coupon codes. The feature not only helps to draw customers’ attention to abandoned carts but also motivates them to return to your ecommerce website. Moreover, due to customizable rules, it is possible to manage the way customers receive emails in a chain. 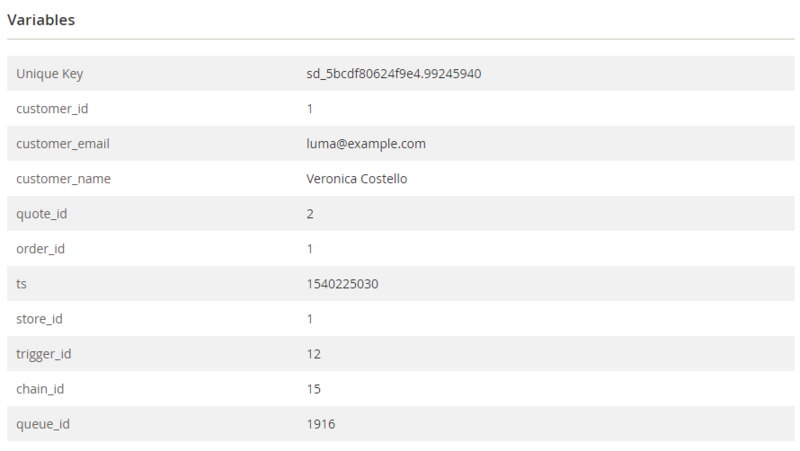 Besides, you can track all your campaigns via Google Analytics UTM tags. Sounds promising? Then, let’s have a look at how things are done in Mirasvit Follow Up Email Extension for Magento 2 and 1. To find out which events are available with Mirasvit Follow Up Email Extension for Magento 2 and 1, you should create a new campaign. The admin panel of the Magento 2 follow-up emails module offers 4 pre-configured campaigns: Abandoned Cart Recovery, Customer Engagement, Customer Re-Engagement, and Sales Follow-Up. With each campaign, a few triggers are available, which can be customized as well. The Manage Campaigns page provides the ability to view, delete, or duplicate each campaign, as well as create new ones. The Cross Overview section on the same screen shows key indicators on the campaigns’ performance. Thus, on the General Information tab, you can set such parameters as a trigger name, status, dates of activity (Active From and Active To – you can leave both fields blank to enable the trigger to work constantly), and store views. In the Sender Details tab, specify a sender email, name, and emails for sending copies (note that these addresses are added to BCC). This tab is not so crucial as the one described above, but it still contains some vital options, without which it is impossible to start a follow-up campaign. Finally, you can integrate your campaign with Google Analytics. In the appropriate tab, enter such data as campaign source, medium, name, term, and content (the last two fields are optional). Thus, you will see how successful your campaign is. With the Magento 2 Follow Up Email extension, you get more than 20 triggering events divided into 7 groups: Customer, Product, Newsletter, Shopping Cart, Sales, Wishlist, and Review related events. Besides, you may define a cancellation event that will stop the whole trigger email chain. Another vital parameter of a campaign trigger is Audience. You can set specific conditions on the Edit Audience page to define customer groups that will receive your emails. There are 6 types of conditions to choose from: Store, Products, Order, Follow Up Email, Customer, and Shipping Address. Don’t forget that you can replace ALL with ANY and TRUE with FALSE in the “If ALL of these conditions are TRUE” expression. 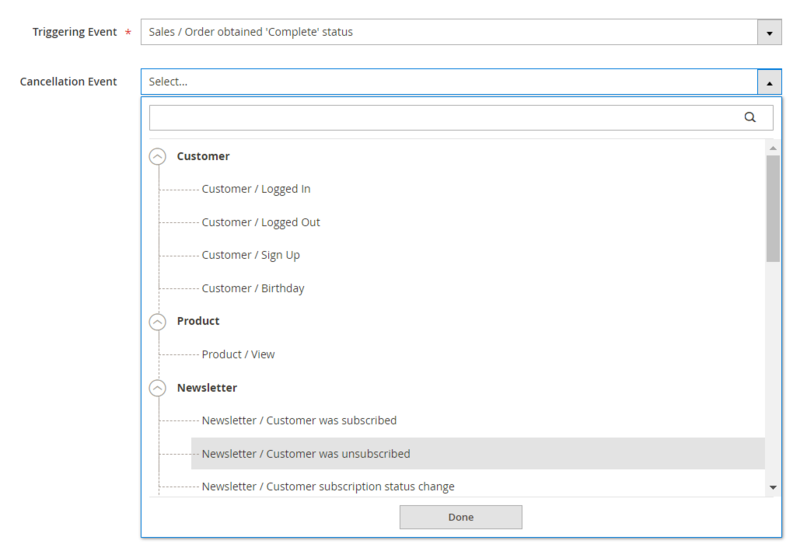 Thus, you can set up rules for each email chain, so all its emails will be sent if all predefined conditions are met, notifying only chosen customers. For instance, Mirasvit Follow Up Email Extension for Magento 2 and 1 lets you send messages to those visitors whose subtotal was more than $50. The opportunities of the extension are really great, so pay more attention to each condition to get the maximum feedback from this marketing tool. There is also a separate section on the Trigger pane related to the emails chain. Note that you can add an unlimited number of emails to every chain. Just hit the Add Email button. When adding a new email, you choose one of the available email templates and specify a delivery time delay. The last option here provides you with the ability to exclude specific days of the week. Then, it is possible to add cross-sells and set their source: cross-sell, upsell, or related products. This little addition can dramatically increase sales of the chosen products. Mirasvit Follow Up Email Extension for Magento 2 and 1 provides the ability to create themes and build templates on their basis. In both cases, you can edit HTML code and see all changes on the same screen. You get all your themes on the Manage Theme screen. The module enables you to edit or remove each theme. Besides, you can create new ones – just hit the Add Theme button. To change a theme, tap on its row. Here, you can change the name of the theme as well as its type (HTML or Text). Below, there are two windows: the left one contains code, and another one displays how the theme looks like. You can switch between Desktop and Mobile views. It is possible to refresh the second window manually or enable auto refresh. You get all your templates on a single screen. The extension lets you edit or remove each template, as well as add a new one (via the Add Template button). On the template screen, you should specify the name of your template and its subject. Besides, it is possible to choose a theme to create the template. As for the code part of the page, it is divided into three sections: Header, Content, and Footer. Next to them, there is a window that illustrates how the code looks like. You can also switch between desktop and mobile views, as well as activate auto refresh. You can use variables in the template – press the Insert Variable button to choose the required variables. On the Mail Log (Queue) screen, you can see all your emails on a grid. First of all, it is necessary to mention that this page supports mass actions, so you don’t have to waste time managing each of your follow-ups. Thus, it is possible to cancel, send, delete, or change status in bulk. Besides, we should also mention that the Mirasvit Follow Up Email extension for Magento 2 and 1 offers convenient filtering options. For instance, you can search for emails by ID (From – To), status, trigger, and a recipient email or name. There is also an opportunity to filter all messages by the time they were scheduled or sent. As you can see, the Mirasvit Follow Up Email Extension for Magento 2 and 1 offers a robust reporting interface with clear charts, email tunnel, and table data. Developers behind this module promise to make the reporting system of the extension even more advanced, so don’t miss the next update! As for events, they are available on the Events screen. You can reset & process or delete each event. Available bulk actions here are Delete and Validate. This part of the Mirasvit Follow Up Email Extension for Magento 2 and 1 is also user-friendly due to the convenient searching options, allowing you to filter everything on the basis of IDs, events, dates, and store views. It is also necessary to say a few words about the general settings of the extension available on the Configuration page. The page is divided into 5 sections: General, Information, Coupons Information, Test Information, and Statistic. The General section provides the ability to limit the number of emails per every address: choose the maximum number of emails sent and set a period for sending emails. The Information section consists of two fields: Facebook URL and Twitter URL. As for Coupons Information, you can specify code length, prefix, and suffix here, as well as set the number of characters to put a dash. In the last tab of the module’s general configuration, you get the possibility to reset statistics. Clear stats (the module lets you fully leverage Google Analytics and built-in reports to get maximum data about your follow-up campaigns). The Mirasvit Follow Up Email extension is one of the most comprehensive tools of its kind available in the Magento ecosystem. The module costs just $149, which is a reasonable price since the solution will help you to earn much more. Besides, since Follow Up Email is available for both Magento 2 and Magento 1, it doesn’t matter what version of the popular ecommerce system you use. In addition to the tool, the Firebear team also recommends you to check Magento Email Marketing Pack by AheadWorks, as well as shopping cart abandonment extensions for Magento 2 and Magento 1.